One side of my mouth is puffy, with a lump that isn't hard. The filler also feels higher up. What should I do? I had Juvederm injected in my smile line. On one side there’s puffiness and what appears to be a lump, but it isn’t hard. The filler also feels higher up. If your injections were done more than one week ago (after which time the swelling should have subsided), the asymmetry and the lump can be injected with the enzyme hyaluronidase (Vitrase, Wydase) to dissolve the area that are elevated. The effect is usually seen within the first 24-48 hours. Can I still have derma filler injections or Botox while taking Accutane? Is it normal for my cheek to feel hot, swollen and sore 2 days after Juvederm injections to the tear troughs? Is it normal for my cheek to feel hot, swollen and sore? Juvederm was injected into my tear troughs, now 2 days later the left side of my cheek is swollen, hot and brick hard! Is this normal? Can a dermal filler help close a hole on the tip of my nose? I have a hole in the tip of my nose , it was caused by a pimple and it does not want to close back, is there any injection to place at this point, to make the skin even and close it? Can a person that has had a dermal filler or Botox done receive a chemical peel? 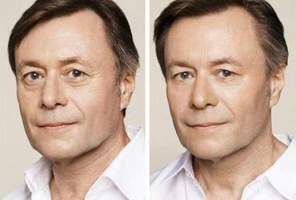 Would a chemical peel cause a reaction with the fillers and/or Botox? Can I do face lifting massages after Radiesse or other dermal fillers? I am 31 years old and have been doing face lifting massages almost daily for the past seven years. I want to try Radiesse (a volumizing filler) but am concerned about whether I can continue doing my facial massages. Do derma fillers work on acne scars and regular scars? Hello I wanted to know if i was to get the dermal fillers would it work on an acne scar i have? Also, would the fillers work on a dog bite scar that's on my nose? Lastly, how much do the dermal fillers cost? ?